​Preliminary thoughts on yesterday: In this country, we are told that "we" are represented by the people we select. Nothing could be further from the truth. We have a number of reports/perspectives on the March for a Clean Energy Revolution in Philadelphia on July 24, the eve of the Democratic National Convention, beginning with an excellent introduction to the March and the whole concept of Clean Energy from Doug Shields, then reports from Desmogblog, Ecowatch, Metro.us and Philadelphia Magazine. Also included are two videos from Delaware Riverkeeper covering the Clean Energy Summit prior to the March, and then the March itself. ​On Sept. 28, the PA Supreme Court struck down as unconstitutional the remaining parts of Act 13 being challenged by municipalities and environmental groups. Those sections include the "medical gag order," the notification of spills and leaks to public water suppliers but not private water well owners, the use of eminent domain for subsurface storage of natural gas products, and the role of the state Public Utility Commission in reviewing local ordinances and withholding impact-fee payments from municipalities that limit shale gas drilling. Although some critics of the ruling claim that the ruling leaves "gaping holes" in legislative protections related to drilling, health and legal experts say those omissions are not as great as might first appear. (MOB's opinion: a fracking ban is the only foolproof protection from the multiple harms inflicted by shale-gas drilling.) Local reactions from attorneys and a concerned-citizen group in Lawrence County can be read here. A Right-To-Know request by Pennsylvanians Against Fracking (PAF) reveals that Pennsylvania has every intention of continuing to approve natural gas power plants, which will lead to continued fracking, expansion of pipelines and related infrastructure, combustion, and dangerously high amounts of methane being released into the atmosphere. Loopholes in the soon-to-be rolled out PA Clean Power Plan will enable most of these proposed power plants to be omitted from the Plan and exempt from its regulation. PAF's Karen Feridun recently published an op-ed piece in the national online publication The Hill about the problem with natural gas: methane emissions. "Methane and carbon dioxide emissions from natural gas are on the rise, making the need for the government to change course and ban fracking all the more urgent." An affiliate of Royal Dutch Shell Plc started acquiring rights-of-way in August for a 94-mile ethane transport system that would feed the company's proposed multi-billion dollar cracker in Beaver County. The common carrier pipelines would be located in Southwestern Pennsylvania and extend into West Virginia and Ohio. Shell Pipeline Company LP plans to begin construction of the Falcon Ethane Pipeline System in late 2018. ​Local officials in Wilmot Twp., Bradford County PA have drafted a resolution to halt production at natural gas wells in the township, not because they're against drilling, but because of landowners' "threats to engage in violence or possibly tamper with gas infrastructure to disrupt production" over royalty payments. Bradford County's pro-drilling officials are preparing a PR campaign against the Marcellus Shale Coalition for blocking legislative attempts to address royalty payment problems in the state. ​Well-known fracktivist Vera Scroggins created this video of ﻿fracking truck gridlock ﻿in Susquehanna County, PA.
Friends and foes of Sunoco’s Mariner East 2 plan to build two natural gas liquids pipelines across southern Pennsylvania lined up to support or attack the plan in equal measures at a public meeting called by the Department of Environmental Protection in West Chester on Aug. 10. In an op-ed piece in the Washington PA Observer-Reporter, PAF's Karen Feridun responds to a column written by Energy-in-Depth's PA director Nicole Jacobs, who attempted to discredit a Johns Hopkins University asthma study. Says Feridun: "Public relations spin should never be confused with honest attempts to discuss research or to educate." We couldn't agree more. PA DEP has green-lighted a proposal to use 3,950 tons of natural gas drilling waste for an experimental road construction project at a Lycoming County hunting club. This approval marks the first time that drill cuttings can be re-purposed as construction material at an area that’s not an industrial site. Drill cuttings are the waste dirt and rock that come up from deep underground in gas development and may contain naturally-occurring radiation and chemicals. Usually the cuttings are disposed of in landfills. Butler County is getting an enhanced ethane cracker capability. The MarkWest Bluestone 3 de-ethanizer will eventually feed into the Mariner West pipeline to Sarnia, Ontario, Canada. In Barnesville, OH on Aug. 6, Yale University researchers who have spent the last two months studying the impact of the natural gas industry on Belmont County’s air and drinking water met with residents to discuss their work. The Yale researchers were looking to determine whether people who live close to natural gas wells experience more air and water pollution. On July 20th the City of Rensselaer NY voted 5:0 to pass the Resolution Opposing Pilgrim Pipelines, becoming the fourth and final city on the proposed oil and petroleum products pipelines’ direct route to oppose permitting or construction of the pipelines. Rensselaer is now the 28th Hudson Valley municipality (including towns, cities and villages but excluding counties) to pass a resolution opposing Pilgrim pipelines due to health, safety, environmental, drinking water, climate and energy policy, and economic concerns. On Aug. 16, New York City Council voted in favor of a bill which would ban fracking waste from the city. 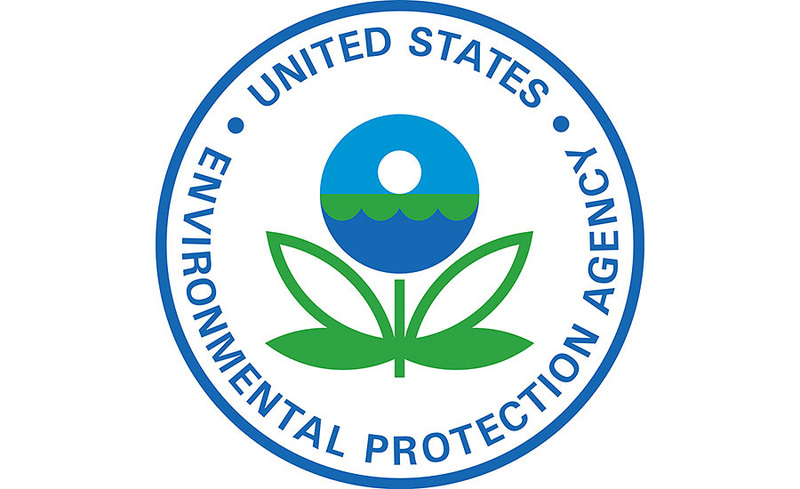 The EPA’s Science Advisory Board has stepped up its criticism of the Environmental Protection Agency’s controversial report on fracking, calling on the agency to provide evidence for its landmark conclusion that fracking for oil and gas has had “no widespread, systemic impacts” on drinking water. ​Whatcom County, Washington, passed an emergency moratorium on new fossil fuel shipments through Cherry Point, a major export hub, citing environmental and safety issues. The Standing Rock Sioux of North Dakota have launched a campaign against the Dakota Access Pipeline. 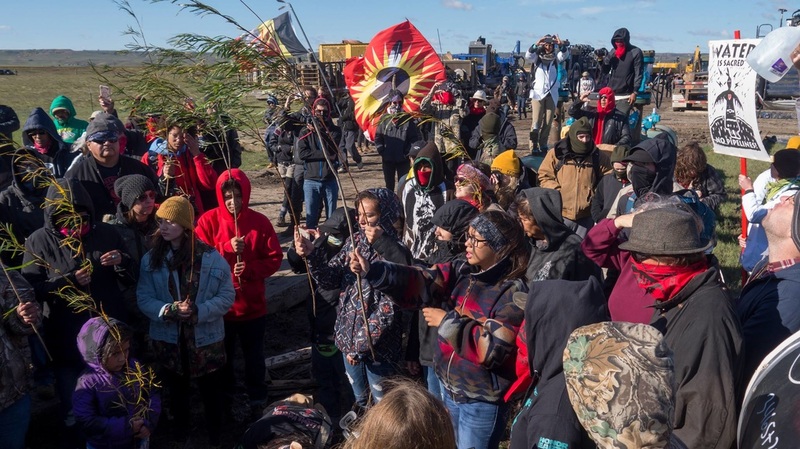 Thousands of protesters have gathered near the confluence of the Cannon Ball and Missouri Rivers in North Dakota in opposition to the pipeline, which opponents say desecrates their sacred places and presents imminent harm to their drinking water supplies. An article by the BBC chronicles life in the Standing Rock protest camps. On Sept. 6 a federal judge granted part of the Standing Rock Sioux's emergency request to halt construction of a section of the Dakota Access Pipeline. The area not covered by the judge's order includes lands that the tribe is particularly concerned about protecting. A federal judge denied a Native American tribe's request to temporarily block construction of the four-state Dakota Access oil pipeline, but the U.S. Justice Department responded to the ruling by announcing steps to protect — for now — a lake along the construction route. 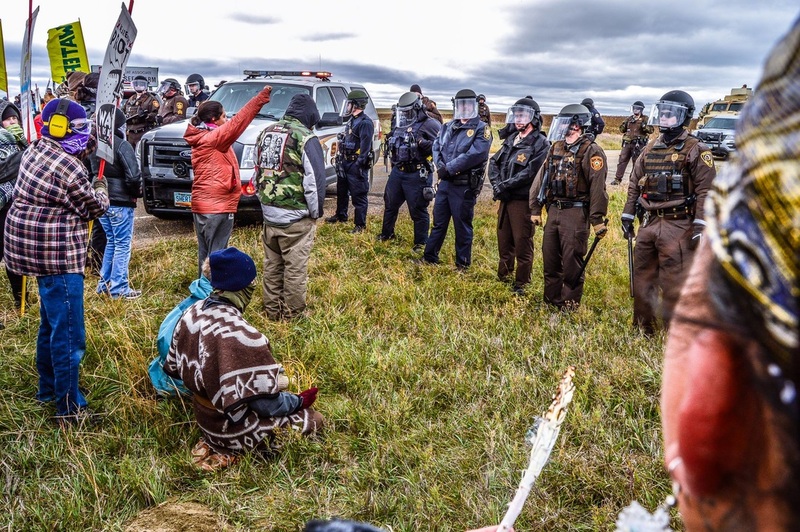 "What is happening at Standing Rock is a profound action by the people who are still human, taking a stand to protect Mother Earth and end the destruction wrought by a diseased culture. This, the Standing Rock Sioux teach us." Meanwhile, in Iowa, construction of the Dakota Access Pipeline in that state is facing resistance from some local residents who believe it's a gamble with Iowa's environment that could lead to the contamination of Iowa's water supply. And on Sept. 22, protesters in a 60-car caravan demanded that President Barack Obama stop the pipeline in Iowa, as he did in North Dakota. The state of Victoria in Australia has voted to ban fracking on its territory, further cementing the moratorium first put in place in 2012. It is the first Australian state to impose such a ban. ​A green group has reiterated calls for the Scottish Government to ban fracking outright as Ineos’s first shipment of ethane from the US nears the firm’s plant at Grangemouth. Meet Green Party candidate, and Donald Trump protest arrestee, Michael Bagdes-Canning. Republican presidential candidate Donald Trump is considering nominating Oklahoma oil and gas mogul Harold Hamm as energy secretary if elected to the White House on Nov. 8, according to four sources close to Trump's campaign. When he addressed the Republican National Convention in July, Hamm called for expanded drilling and said too much environmental regulation threatened to limit U.S. oil and gas production and increase the country's dependence on Middle Eastern oil producers. "Every time we can’t drill a well in America, terrorism is being funded," Hamm told the cheering crowd. "Every onerous regulation puts American lives at risk." The Clean Energy March was an event that mixed national politics with local opposition to specific energy projects. Some demonstrators called on the Democratic presidential nominee Hillary Clinton to step up her support for renewable energy, while others – many of them backers of Clinton’s former rival, Senator Bernie Sanders — vowed never to support Clinton even if that increased the chances of the Republican nominee, Donald Trump, becoming president. The Oil and Gas Threat Map is an online interactive tool that displays data about the threats communities face from oil and gas industry pollution. Hundreds of Illinois children spend their days gasping for breath, according to a new report from the Clean Air Task Force. A first-of-its-kind analysis from the environmental advocacy group shows how air pollution from oil and gas facilities can impact the health of communities. In Illinois, the report says the result is more than 27,000 summertime childhood asthma attacks. Researchers at the University of Missouri released a study that is the first of its kind to link exposure to chemicals released during hydraulic fracturing to adverse reproductive and developmental outcomes in mice. Scientists believe that exposure to these chemicals also could pose a threat to human development. Living near a natural gas hydraulic fracturing site is associated with increased rates of sinus problems, migraines and fatigue, according to new research. This is the third study released by Hopkins in the past year that connects proximity to fracking sites with adverse health outcomes. Last fall, researchers found an association between fracking and premature births and high-risk pregnancies, and last month, found ties between fracking and asthma. This article is a detailed discussion of the three aforementioned Johns Hopkins studies by the authors of the studies. On July 26 the Commonwealth Court of Pennsylvania dismissed the constitutional climate change lawsuit brought by seven young plaintiffs. The court declined to follow Pennsylvania Supreme Court precedent that determined that Pennsylvania's constitutional Environmental Rights Amendment imposes an affirmative duty on the Commonwealth to "conserve and maintain" Pennsylvania's public natural resources for both present and future generations. The decision will be appealed to the PA Supreme Court. A court ruling on Aug. 29 cleared the way for Mt. Pleasant Township, Washington County, to act on a conditional use application for the Yonkers well pad. Citizens for Pennsylvania’s Future (PennFuture) filed a motion seeking a court injunction to stay any action on gas drilling activity by the township board of supervisors as it seeks a resolution to a separate complaint on the validity of the township’s ordinances allowing gas drilling in all zoned districts. The latter issue will be taken up as part of a hearing before the zoning hearing board Oct. 4. The Mt. Pleasant Township board of supervisors must approve or deny the application for the natural gas drilling site just under a mile from Fort Cherry schools by Oct. 6. As a Federal Energy Regulatory Commission lawyer in the 1980s, Carolyn Elefant annoyed her co-workers by doling out free advice to landowners. Today, Elefant is a hired gun for landowners battling her former employer and some of the nation's biggest energy companies. The 52-year-old New Jersey native works for small towns, ranchers and farmers fighting pipelines and other infrastructure linked to the nation's natural gas production boom. A Pennsylvania appeals court has ruled that the Department of Environmental Protection has the authority to consider the impact of gas drilling wells on public and natural resources including, but not limited to, public drinking water supplies, parks, forests, game lands, habitats of rare and endangered species, historic and archeological sites, scenic rivers, and historic landmarks. Warning that climate change amounts to the "mother of all risks," three of the world's biggest insurance companies this week are demanding that G20 countries stop bankrolling the fossil fuels industry. 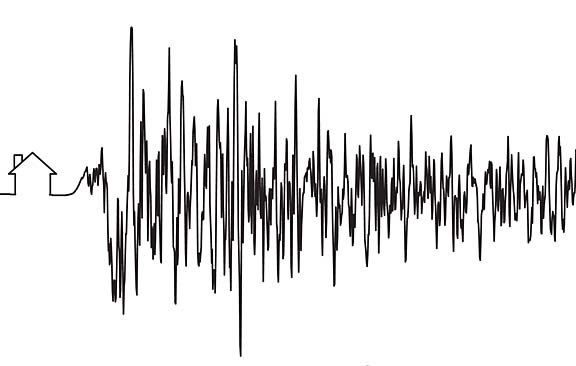 An earthquake struck northern Oklahoma early in the morning on Sept. 3, rattling houses and waking residents in the region around Pawnee, about 74 miles north of Oklahoma City. Preliminary measurements show the quake had a magnitude of 5.6 — believed to be one of the strongest in state history. Local officials reported moderate to severe damage and at least one nonlife-threatening injury. Later that day, Oklahoma state officials ordered oil and gas operators to shut down three dozen wastewater disposal wells. In recent years, energy companies have pumped an unprecedented volume of wastewater deep into underground wells. That process has sparked a wave of earthquakes across the central United States, and is also having a visible effect on the Earth's surface, a new review of satellite images has found. The Texas Railroad Commission has let the petroleum industry inject oil and gas waste into groundwater for decades without the required federal approval. Officials with Clean Water Action said the failure of oversight on the part of the state and federal governments may have contaminated future drinking water sources. No evidence of contamination has been found, but little documentation is available to prove or disprove negative effects. 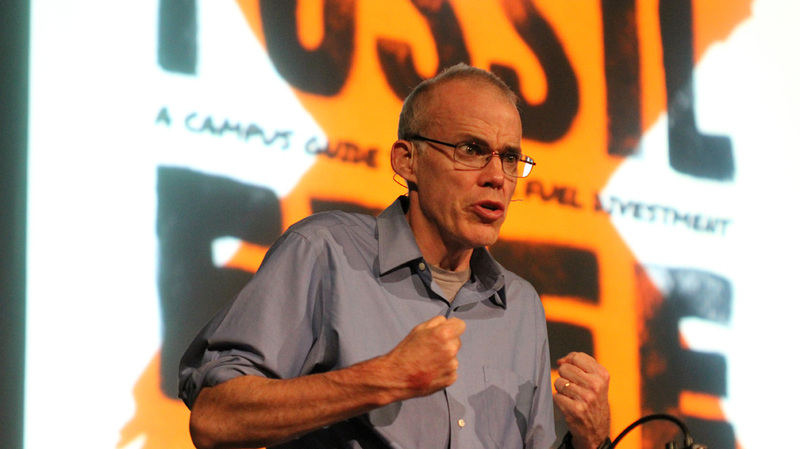 According to Bill McKibben: "For years, our leaders chose to ignore the warnings of our best scientists and top military strategists. Carbon and methane now represent the deadliest enemy of all time, the first force fully capable of harrying, scattering, and impoverishing our entire civilization. World War III is well and truly underway. And we are losing. We’re under attack from climate change—and our only hope is to mobilize like we did in WWII." ​Though it may not have seemed possible, climate catastrophe is even closer than previously thought, with new figures released Thursday finding that—when the wells already drilled, pits dug, and pipelines built, are taken under consideration—we are well on our way to going beyond 2°C of warming. Oklahoma Republican Senator James Inhofe, who serves as the Chairman of the Senate Environment and Public Works Committee, recently told conservative radio host Eric Metaxas that schools are "brainwashing" children about climate change. A Russian heatwave in late July-early August activated long-dormant anthrax bacteria in Siberia, sickening at least 13 people and killing one boy and more than 2,300 reindeer. A state of emergency was imposed throughout the region in western Siberia, and reindeer herding communities were quarantined. In August, climate scientists gathered in Geneva to debate whether we’ve "already gone too far" with regard to climate change. Are we feeling collective grief over climate change? The idea is highly controversial, but at least one psychiatrist is convinced that we are, whether we know it or not. ​A leading doctor calls climate change the gravest health threat of the 21st century. "When you cannot feed your children, you will do anything, even if it means going to war. This is the reality of climate change." Wide-scale disruption from marine heatwaves (which occur in ocean waters, unlike the atmospheric heatwaves we experience on land) is increasingly being seen all around the globe. The snow-covered Himalaya-Hindu Kush mountains and the Tibetan Plateau, spanning a broad area in Central and East Asia, together contain the largest ice mass on the planet outside of the polar regions. In fact, it’s earned itself the nickname of the “Third Pole.” But as in Greenland and Antarctica, there’s trouble afoot: Glaciers in the Third Pole are also shrinking. While environmentalists have long advocated an end to coal-fired power for the sake of both the climate and public health, some say that increasing reliance on natural gas is the wrong energy strategy. When someone tells you, “The climate is always changing,” show them this cartoon. Another good reason for switching to electric vehicles: more than 250,000 gallons of gasoline have spilled since a major Alabama pipeline exploded. According to David Butler, riverkeeper of the Cahaba Riverkeeper organization, the environmental impacts of the spill have been minimal. Catholics currently subscribe to seven corporal and seven spiritual “works of mercy” — obligations that include sheltering the homeless, visiting prisoners and burying the dead. On Sept. 1, Pope Francis added care for the environment as an eighth work of mercy. Boulder, Colorado Mayor Suzanne Jones has announced that the city would commit to being powered by 100 percent renewable electricity by 2030. Boulder now represents the 17th city in the U.S. to commit to be powered by clean, renewable energy like wind and solar, and is the second city in Colorado to make a 100 percent clean energy commitment along with Aspen. The Iowa Utilities Board has given MidAmerican Energy the green light for the utility's plans for a $3.6 billion wind energy investment, part of the company's goal to reach 100 percent renewable energy for Iowa customers. A University of Waterloo (Ontario) study says bringing solar and wind energy to Canada's remote Arctic communities is not only possible and environmentally beneficial, but it will also mean big savings. A new bus from Proterra, the Catalyst E2, is an electric bus intended for long city routes. Its battery holds up to 660 kilowatt hours of charge, which means it could reasonably run 350 miles on a single charge. Solar rooftops and Tesla Powerwalls will power the new Tesla Town in Melbourne, Australia. The Yarrabend community, a suburb of Melbourne, will utilize solar roofs and Tesla Powerwall to provide and store energy for the homes, businesses, fitness centers, and other buildings in the community. When a workplace installs a charging station, employees are 20 times as likely to buy an electric vehicle, according to a survey from the U.S. Department of Energy. The people of Connoquenessing's Woodlands still need you. Please donate what you can to help supply them with fresh water.